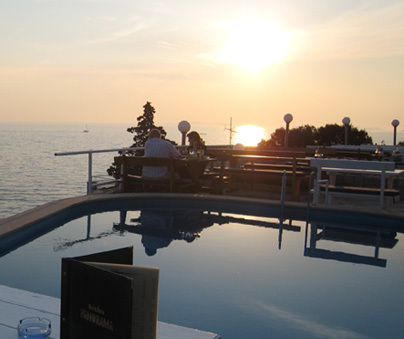 Restaurant "Panorama", except that offers all the specialties and seafood, according to its position is unique in the entire Adriatic. On our terrace you can enjoy the beautiful view of the islands, open sea and an unforgettable sunset. Along with the gastronomic pleasure that you will find harmony with nature, affability and courtesy of staff. High quality products and services with affordable prices.